Can I Recover Lost Wages in a Florida Workers’ Compensation Case? If you have recently been injured on the job, and your injuries are inhibiting you from being able to work, you may be concerned about those wages you would have otherwise earned had you not been injured. If you are unable to work, it is natural to worry that you will not be able to take care of your finances while you recover. 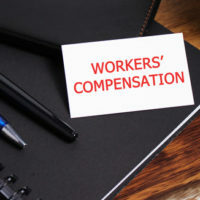 Workers’ compensation laws are in place to help victims of workplace injury recover and return to work, but what are those workers to do in the meantime? If your injuries are severe enough to keep you from performing your normal occupational duties but not severe enough to keep you from working at all, then you may receive partial disability. Your company may be able to give you work to do that does not violate the restrictions outlined by your doctor, but it is not uncommon for these alternative tasks to not pay as well as one’s normal job. If this is the case with you, you may be able to recover approximately 80 percent of the difference between your earning capacity before and after the injury. If your doctor determines that you cannot work at all, you will be given a designation of temporary total disability. Since you will not be able to perform any job functions that your employer may be able to offer, you are entitled to receive compensation for your lost wages. Unfortunately, however, this will not be the total amount of your normal wages and will instead be a percentage of your normal weekly pay. In Florida, you will receive 66 percent of your normal weekly wages starting the eighth day of disability. If you have been critically injured, this percentage can be as much as 80 and collectible for up to six months. When you reach a point of maximum medical improvement (MMI), your doctor may determine that you have sustained a permanent disability as a result of the workplace accident. 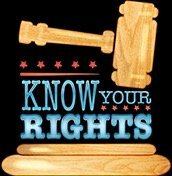 In such a case, you may be entitled to impairment benefits according to an impairment rating. If you are unable to return to work, you may receive permanent total disability. It is not uncommon for an employer or an employer’s insurance agency to dispute an injured employee’s workers’ compensation claim. It is important that you do not accept any settlement offer from your employer or an insurance company without receiving adequate legal advice or carefully considering your options, especially if you are not yet certain about the extent of your injuries. The lawyers at Barbas, Nuñez, Sanders, Butler, & Hovsepian are here to guide you through a workers’ compensation case. Call our office today to schedule your free consultation.